Just 12 months ago new electrical wholesaler, Active Electrical Suppliers, opened the doors to its first branch in Penrose Auckland. Now, following a rapid expansion program, 12 branches have been established between Auckland and Timaru and more are on the way. With a commitment to setting up an expansive national branch network, managing director David Fraser says Active is "right on track" and looking forward to growing its presence and expanding its branches and services to customers. Driven by a highly experienced team, Active Electrical Suppliers has a simple approach, says Fraser, and it begins with the right people, a comprehensive product range and always being market competitive. The government says it wants an end to the practice of construction contractors collecting retention monies from sub-contractors but has indicated that it wants no part in the administration of any alternative retentions solution. Maurice Williamson, the minister in charge of construction, says there needs to be changes to the way retention monies are collected and held and makes no secret of his personal dislike of the practice but cautions that any move to scrap retentions would have 'pretty severe' undisclosed consequences. "This is a very difficult issue and we've looked at it from every angle yet we appear to be no closer to a workable solution. If this was easy we'd have solved it years ago and it's going to take the wisdom of Solomon to arrive at a solution that doesn't kill the patient." When the Canterbury earthquakes hit, New Zealanders far and wide reached deep into their pockets to help those in distress. Now three years later as the Canterbury rebuild gets underway, some unscrupulous electrical contractors are reportedly reaching deep into Christchurch home-owners' pockets and charging up to $50,000 to rewire their damaged homes. This has come to light following a report by journalist Liz McDonald in the Christchurch Press and follows the Earthquake Commission's demand that homeowners upgrade pre-1970s wiring at their own expense before the EQC will carry out repairs. In her article McDonald quoted the law governing EQC as stating it must fix homes to "a condition substantially the same as but not better or more extensive than its condition when new, modified as necessary to comply with any applicable laws", and this is where the problem appears to have begun. 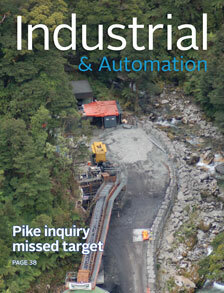 When the Pike River coal mine blew up in 2010, it also brought down the regulatory regime governing mining and set in play massive changes to how high-risk work in the mining, petroleum and geothermal industries is to be managed. The changes included the setting up of a High Hazards Unit within the business ministry (MBIE) to carry out inspections and assessments and to enforce health and safety legislation in these sectors. This unit is expected to pass into a new independent crown authority with its own board which will then play a driving role in the re-regulation of high-risk work. The government has now upgraded the law which empowers the Government Communications Security Bureau (GCSB) to deal with the increasing cyber threats to New Zealand industry. The minister responsible for the GCSB, John Key, said at the time his government passed the GSCB legislation into law last month that cyber-attacks are a growing threat which targets our information and the intellectual property of our 'best and brightest'. "Already this year the number of logged cyber-attack incidents is 204 – larger than it was for all of last year." 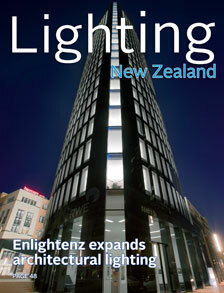 The design and manufacturing of light fittings in New Zealand took another step forward in July when Auckland-based Enlightenz acquired Concept Lighting and ensured its ongoing operation. Lighting designers, architects and electrical contractors can rest assured the best of Concept's luminaires, high-efficiency reflectors, extruded aluminium profiles as well as its European luminaire ranges will continue to be available for current project completion and further specification, says Enlightenz executive director Trevor Murray. Electrical contractors willing to learn a bit more about building compliance can take some of the load off building owners and open up ongoing revenue streams for themselves by ensuring the electrical and emergency systems are being tested and visually inspected correctly and the right type of records are kept up to date. If you installed the system originally, this could also save your bacon if anything goes awry. Although they are electrical, emergency escape route signage and lighting systems must also comply with the Building Act which requires the periodic testing, visual inspection, and maintaining of 'specified systems' in order to comply with the Building Code. The requirements set out in the Building Code clauses are performance-based rather than prescriptive. This means they focus more on a performance outcome rather than prescribing how it is to be achieved. The last time the three part emergency lighting standard AS/NZS 2293 was revised, Standards New Zealand pulled out of the joint process, citing lack of funding. 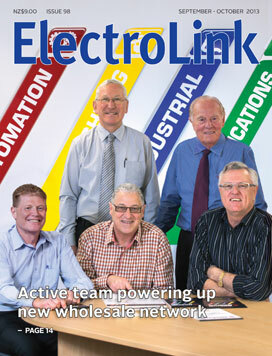 (See ElectroLink, August, 2004). The building regulator at the time, the Building Industry Authority (BIA) declined a request for the $1800 necessary to complete the public consultation process and neither party sought contributions from fitting suppliers or any other parties to ensure funding was available to keep the standard joint. Australia went ahead on its own with a revision of parts one and three and published them as Australia-only (AS) in 2005. Part two, Inspection and maintenance, has remained a joint standard. This resulted in a compliance shambles for New Zealand, particularly around signs. Every day now more homeowners are turning to LED and are asking about the merits of LED lighting – does LED lighting provide value for money? The lighting power savings are obvious – a downlight fitted with a 100 watt GLS lamp has around the same light output as a 23 watt compact fluorescent lamp (CFL) or, a 12 watt LED. However, household lighting is not usually on for long periods of time and LED fittings are still a lot more expensive than GLS and CFLs to buy. Besides initial purchase and installation outlay, the main cost of a lighting installation is power use followed by lamp replacement costs.